This is a fun place to ride your bike and sit outside.The appetizers are very good.Meals are plentiful and delicious. This is the second time we have been there and it was just as good as the first time! McKenzie provided excellent service (Charlie was awesome last time) and the food was top notch! Bravo! You can't beat this Italian place! Make reservations!! Great food and very friendly staff. You must try the tiramisu! Tomato bisque was also fresh and delicious. I had heard of their good ratings, but know I know why. What a great spot for dinner! The toasted ravioli, grouper dish and chicken parmesan were delicious! Service was superb. Highly recommend. Special night, we made right choice. Food was outstanding, service excellent ..it Was great experience. Definitely recommend! I just had the best meal out, ever. Food is Devine, to die for. Chicken parmesan was excellent, the marinara tasted like nothing I've ever had before and the chicken was cooked to perfection. Jenny was very informative and a great conversationalist. Fresh and high quality. Chef's choice is the best suggestion. This place has fantastic food. I loved the bruschetta. The servers were friendly. There was live music that night also. We were in the back bar. Fun place to meet friends. The food was amazing! The wine was tasteful. The dessert was out of this world. Our waitress had an bubbly friendly attitude which was plus. You and your people are cooking up some great food! My favorite Italian restaurant by far. Really wish you would offer valet parking. Good food, good atmosphere, great night out. Delicious Italian fare and great service. In town for work and found this place was highly recommended. Food was amazing, atmosphere was great, and our server (AJ) was absolute wonderful! The food was wonderful! Sat at the bar and the service was just as good as if being in the main dining area. Be prepared to walk a good distance because parking isn't an easy task. But definitely plan to come back! The Italian Park Restaurant provides a delightful dining experience. Our waiter, AJ, was courteous, knowledgeable and attentive. The food was excellent and the wine affordable. We will be back again soon. Another amazing dinning place. Food and staff absolutely amazing. Fun atmosphere either for couples or if you want to have a celebration for many. They can accommodate Big or small. Food always good. Summer time fun, winter romantic. Great food, great service - the place was PACKED on a snowy, icy, frigid - that’s how popular it is! Lasagna was great, as was fried ravioli appetizer. Backyard bar was cozy and fun. Good food, good service. A Westfield gem. And a nice wine list. Service was good and the lasagna was great! I had the spaghetti and meatballs. They were just standard, so definitely get the lasagna when you go. It's not only delicious, but big too. Best Italian food in Indianapolis area!!! Very cozy setting. The food was tasty. Great service from all staff. I am an Italian food lover and this is one of the best! Cozy..Christmasy..vintage..rustic..DELICIOUS! Eggplant was not good. Rubbery texture and thick nasty skin. Sauce and pasta on plate was melt in your mouth yummy. A.J. was a wonderful server. He had great recommendations. He was attentive, but not hovering. Fabulous stuffed mushrooms, and delicious veal mains. Will be back to The Italian House! AJ and the staff at the Italian House were phenomenal. The food was fast, warm, and delicious. I would definitely recommend them and would love to go back! Hidden gem becoming less hidden. They have amaro which is sort of my must have for Italian places. Wonderful, warm and cozy place. Great food and service too! Enjoyed group meal in restaurant annex out back. Took a business associate here this week. The service was excellent, matched by the menu choices. The Caesar salad was tasty — we split it — and we both had the chicken Parmesan. SO good...will definitely be returning! Our complete dining experience here was excellent. The setting, our waiter, and the food were all excellent. Great balsamic and olive oil. Well done all around. Visited the Italian house for a private event in the back building. Great atmosphere, food was fabulous, staff was on it, super friendly and great service! Worth it. Nice dinner. They do seafood well. Excellent table service. A great date place. Bungalow house and backyard have been smartly transformed into a quaint Italian eatery. A great place to sit outside in May during a warm spring evening. The lasagna was outstanding...even served it with half white & half vodka sauce. We even received a complimentary dessert (cannoli) for our anniversary! Definitely return again! Great atmosphere and server Scott is a real peach! Great Italian meals! Everything we had was delicious. This is not a national chain. Well above the major franchise food. If you like Italian food and you've never been here you should definitely go. This place keeps pretty busy so you may want to make reservations. Enjoyed our 3rd dinner experience with a nice atmosphere and excellent food. Class dinner for LHS, class of '68: all seemed to enjoy the food. Our venue had bar tables which was difficult for those with physical limitations. This was my family and I first time there and the experience was quite enjoyable.Our waiter AJ was great and the food was delicious. Very good. I had the alla vodka and it was excellent. My husband had the duck special and he enjoyed. We also really liked the caprese salad. The atmosphere was very homey. Excellent food and service, warm inviting atmosphere. 👍👍 I highly recommend this place! 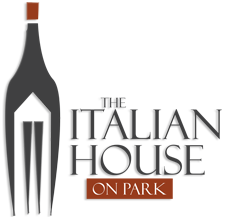 The Italian House on Park is AMAZING! Our first time here. Amazing service, Amazing restaurant, Amazing food. AJ gave us amazing service, ask for him when you try this place. This is a must try if in the Westfield area. We will be back. Good place for hanging out and getting dinner with friends. The egg plant parm was very good. And their soup as well. One of our favorite places for food but this visit left me wanting more ! Great atmosphere with outdoor seating. The BEST place for Italian in central indiana. Very nice place. Learned that On weekends a highly recommended. Was seated on the patio. Our waitress was very friendly and the chicken parmesan was great. I give 5 stars.